Uv, Ultraviolet, Deuterium. Note: The N-1-LB is a replacement holder in which the lamp cartridge is held in place by 1 short pin and a stainless steel strap. 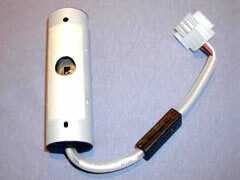 The N-4-LB is an ABI style holder in which the lamp cartridge is held in place by 2 pins.